As the New Year begins and as we spend time looking back on the happenings of 2013, we’ll often reflect on the major moments that occurred in our lives the last 12 months. And while 2013 held much in store for me (graduating from seminary, moving 450 miles back home to San Francisco, and getting engaged), I’ve realized that these major moments have often been accompanied by good books. I reread this book this year, and it continually remains atop my list of favorite books that have most shaped me (this was true back in 2011, and still holds true today!). This is largely because were it not for this book, I would not be engaged to my fiancee! While I can assume that if this book were not in existence, God might have ordained it to have happened another way, this book was in existence, and God did predetermine to use this book instrumentally in my relationship with my fiancee. Back in 2011, I was wrestling with the idea of pursuing a girl, and wondered if it indeed was God’s will. As a result, I turned to this book and was incredibly encouraged, and even freed from our “Christianese” way of thinking about the will of God. Not so coincidentally, my (now) fiancee was wrestling with the same thought – so I gave her this book. After two months of praying if our relationship was God’s will and still not being able to come to a decision, this book gave her an answer literally overnight. The next day after giving her the book, she called me and said, “I’ve made my decision.” That day began 2 years of dating that shaped me and sanctified me. And now I am happily engaged and looking forward to how my future marriage will continue to sanctify and shape my life. Case in point: read this book. If you are struggling with “God’s will” in your career, which job to take, where to relocate your life/family, whether or not to have a family, who you’re going to marry, etc. – read this book. I work mostly with youth, college, and young adults, and the topics of dating and marriage consistently rise to the top of my conversations with them, and understandably so. 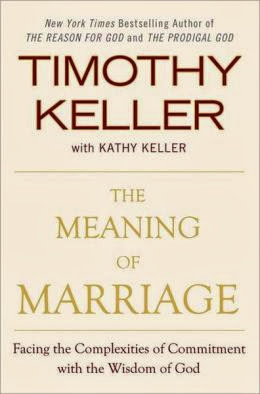 And the more I’ve talked with and counseled people in the area of dating, the more I find myself referring to Tim Keller’s thoughts in Meaning of Marriage. As a young engaged man myself, this book has proven invaluable for me in seeking to make Christ the center of my relationship with Janet. I first took to Keller’s thoughts on marriage via his sermon series back in 2011 (the same summer I was considering pursuing my fiancee). And while this book is essentially a rehashing of his sermon series into book format, it proved just as enlightening the second time around in 2013. If you want a book giving a Biblical definition of marriage, this is for you. If you want to learn more about how to live out a Gospel-centered marriage, this book is for you. If you want a book guiding you in practical principles to go about dating, this book is for you. If you want to learn more about how you, as a single, can healthily approach relationships with a Christ-centered worldview, this book is for you. Basically read it no matter who you are. I started this book in 2012, left it for a while, then took it back up in 2013, and am again going through it for encouragement in my preaching. 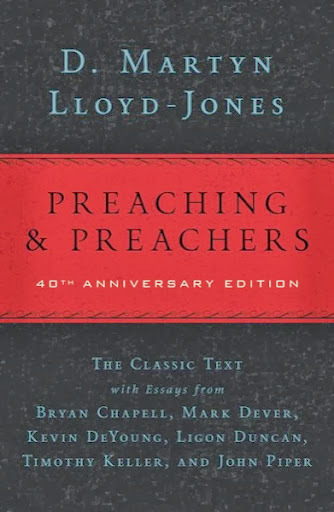 Though this is a book primarily for those called to preach God’s Word by vocation, I’ve found that many of Lloyd-Jones’ thoughts are helpful for anyone who is a teacher of God’s Word. Though this collection of lectures on preaching was originally given in 1969, there are numerous times it feels that I am reading a modern author. The ways he deals with issues about preaching in the 60s are still greatly applicable today. I’ve found many times that when I come away from a Sunday sermon discouraged, Lloyd-Jones gives me the proper encouragement to bounce back for the next week. Likewise, his exhortations to preach further my awe and desire to steward the Word with conviction and clarity. Though this is more appropriate for those who are in vocational preaching and teaching contexts, anyone aspiring to be a teacher/preacher of the Word should read this book. Even if you’re skeptical about the form of preaching, or want to know more of why the sermonic form of expositing Scripture is still used today, Preaching and Preachers is largely helpful. For those who know me, it should be no surprise that Kevin DeYoung would show up twice on this list. 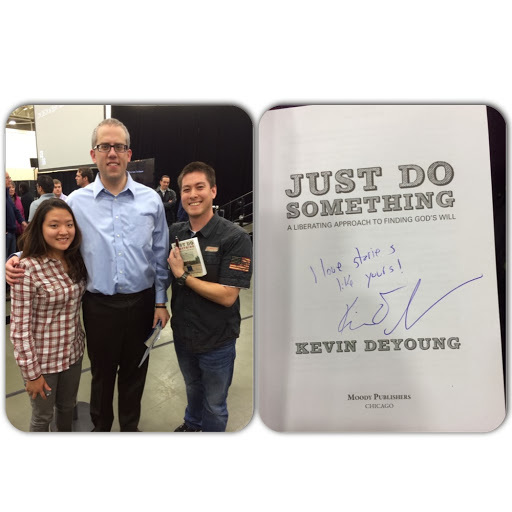 That’s partially because DeYoung is currently my favorite pastor/author at the moment. But it’s also due to his skills in writing and communicating, as well as the thorough research he puts forth in his books. What is the Mission of the Church? nicely balances a Biblical theology of missions, with a practical outworking of this mission. Giving attention to both overseas missions, social justice, and local disciple making, DeYoung and Gilbert put forth one of the most comprehensive, yet easy to read books on a Biblical theology of mission and missions. Being already passionate for missions amongst the unreached, and planning to be a long-term worker in the future, this book gave me the right theological hooks and boundaries to place my convictions upon. 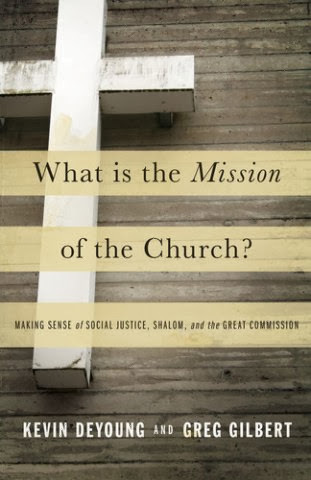 Reading What is the Mission of the Church? encouraged me to keep pursuing long-term missions, but with the refocusing on disciple making. In a world where there’s so much the church can do, it’s refreshing to hear a clear call to what the church fundamentally must do. If you’re interested more in what the church is called to do, and how your specific ministry vision, passions, and desires fit into the picture of the disciple-making, Great Commission church, this is a great resource to turn to. Whether you have a passion for the lost, unreached people groups, social justice, or mercy ministries, DeYoung and Gilbert help give both the theological boundaries and the conviction needed to accomplish the mission of making disciples as a church. What would a book recommendation list be without resources to help study the best Book of all? The Teach the Text commentary series is a new series edited by John Walton, focusing on studying the historical and cultural backgrounds of a Bible book, and the application of the truths there within. Though the series currently only has 6 volumes (Romans, Luke, 1&2 Samuel, Job, Ecclesiastes and Song of Solomon, and 1 Corinthians), it has been one of the most helpful, both devotionally as a Christian, and teaching wise as a pastor. I’ve currently been using the volume on 1&2 Samuel by Chisholm for my devotions, and it’s been invaluable in helping me get to the bottom of both Scripture, and my own heart. Though the series sacrifices in the area of thorough commentary, it gains in the area of historical/cultural insight and theological teaching points. This is by far one of the easiest to read and most reliable commentary series I’ve picked up. 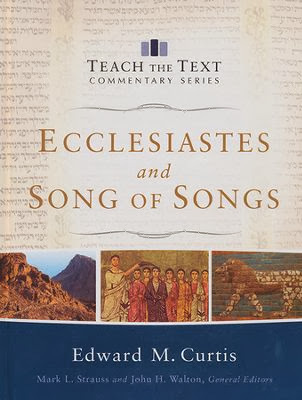 (I might also add that my former professor, Dr. Ken Way, has written the soon to be published volume in Judges, and the volume on Ecclesiastes and Song of Solomon is written by a professor from my seminary, Talbot School of Theology). Pick this up if you’re interested in one of the 6 books they’ve already published on, or if you want to go deeper in cultural backgrounds and theological study. If you’re doing devotionals in either of these books, don’t hesitate – click on the Amazon link and invest in a resource that will help dig deep in both Word and heart. Having extra-Biblical resources to help in Bible study and devotional reading is a must if you want to take studying the Bible seriously. If you’re currently going through one of the other 58 books of the Bible the TTT series has not yet published on (which is likely for 90% of you), I suggest picking up either the ESV Study Bible or the New Bible Commentary – both of which offer short, easy to read, but insightful comments on the whole Bible, that will help you grow in love with Scripture. Whether you’ve read these books or not, I hope that you continue to seek the wisdom of God in the Word, and through those who have digested and expounded the Word for us in books. If you need a list of books to read for 2014, or have never taken up the discipline of reading outside the Bible, I encourage you to start with some of these. May 2014 be a year that we seek God’s wisdom in life, both from Scripture, and from those who have gone before us.